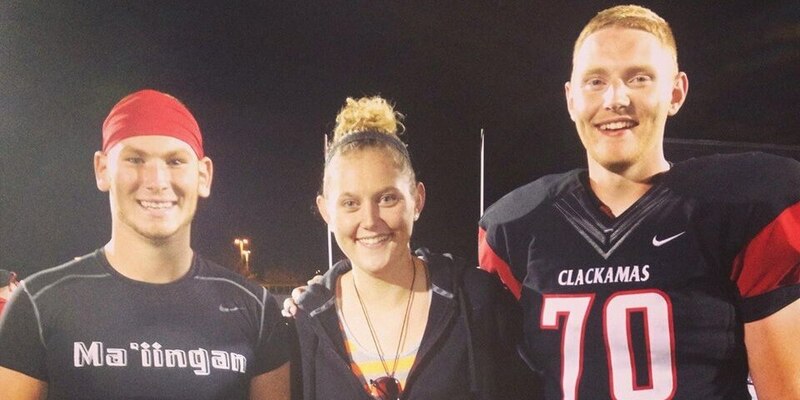 (L-R) One of the state top two way threats Brody Haehlen (6-4 250 Sr. TE/DE)-Offered by Montana, Oregon Player of the Year- Girls hoops Jen Reese, now at Colorado, Oregon’s #1 OL David Reese (6-7 270). In what was a little longer wait then expected, Oregon’s #1 ranked O lineman for the 2014 class David Reese (6-7 270 Sr. T), received his first D1 offer from FCS perennial national title contender Montana. 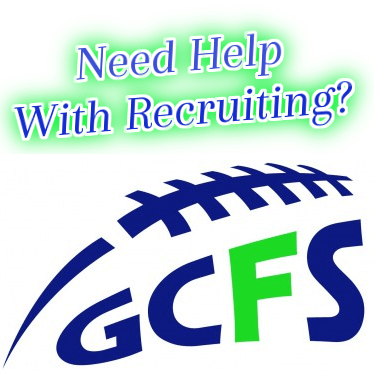 Kudos to the Grizzlies as they have also offered talented two way threat and teammate Brody Haehlen (6-4 250 Sr. DE/TE). Referencing his first offer Reese says, “I’m very excited about it, and glad I can represent the Oregon O lineman with the first offer”. He continued, “Its a big weight lifted off my shoulders, and now its time to keep our (4-0) start rolling with league starting this week. David was a standout at our Showcase event at the end of June with the other top athletes from around the region. As most know he comes from a very athletic family, with his sister Jen being an Oregon Player of the Year in girls hoops. Reese’s frame and overall athleticism make him the ideal tackle at the Division 1 level. All of us at NEI have become big fans of this Clackamas group. The Cavalier kids were some of the top athletes at our Portland Elite Events, and on the Barton Camp and Combine tour this off season. Reese was an all league kid last season, but really started to focus on his football this past year. With continued progression he could very well be a franchise tackle at the highest level. We wish David continued success as this years Clackamas team could be one of the best in school history. We will bring you updates as they happen.